Deildartunguhver, this hot water spring is protected by conservation laws and is the most powerful hot spring in Iceland, with 200 l/sec. 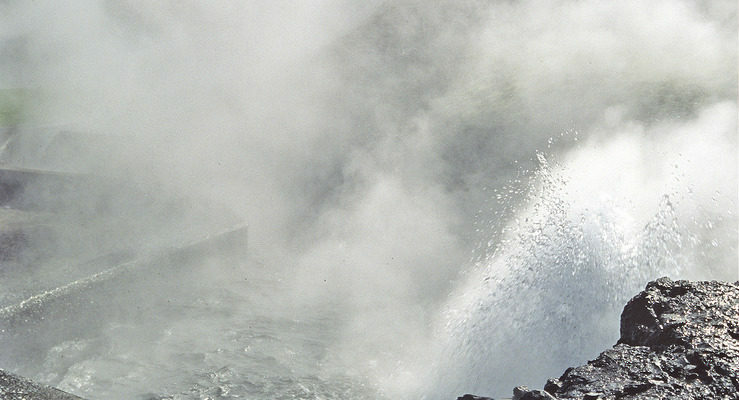 of 100°C hot water, supplying the towns of Borgarnes and Akranes with hot water. The only place in Iceland where a variety of hard fern (Blechnum spicant var. fallax) is found.